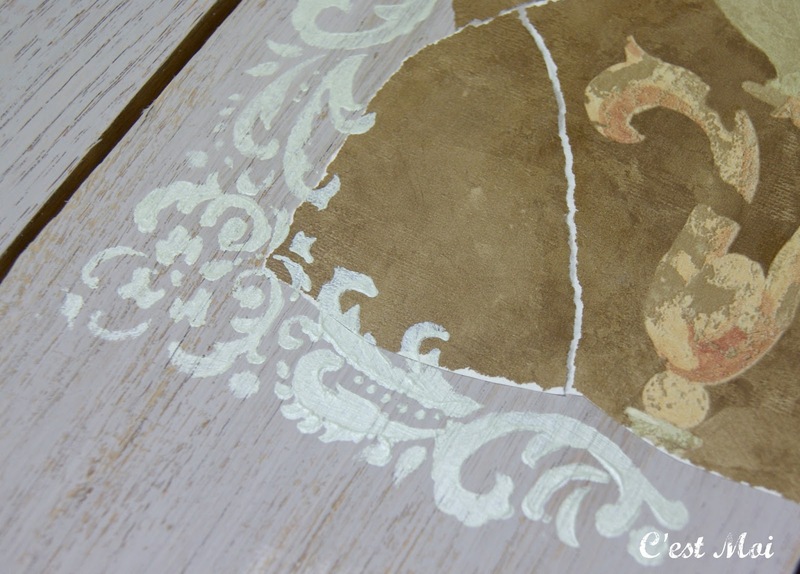 We've been asked about numerous decorative finishes and if they can be used with CHALK PAINT by Annie Sloan®. We're excited to finally be able to recommend a fabulous product: Artisan Enhancements by Aloha Coatings. Below you'll see we've stenciled with their Pearl Plaster paint, which produces a velvety, pearlescent shimmer. Pearl Plaster offers the flexibility that fans of CHALK PAINT by Annie Sloan® have become accustomed to. It can be painted, rolled, toweled, dry brushed, and even tinted with various paint colors to create an endless number of finishes. 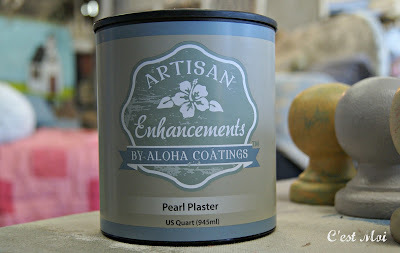 When using Pearl Plaster, you can either wax over it or use Aloha Coatings' clear topcoat. 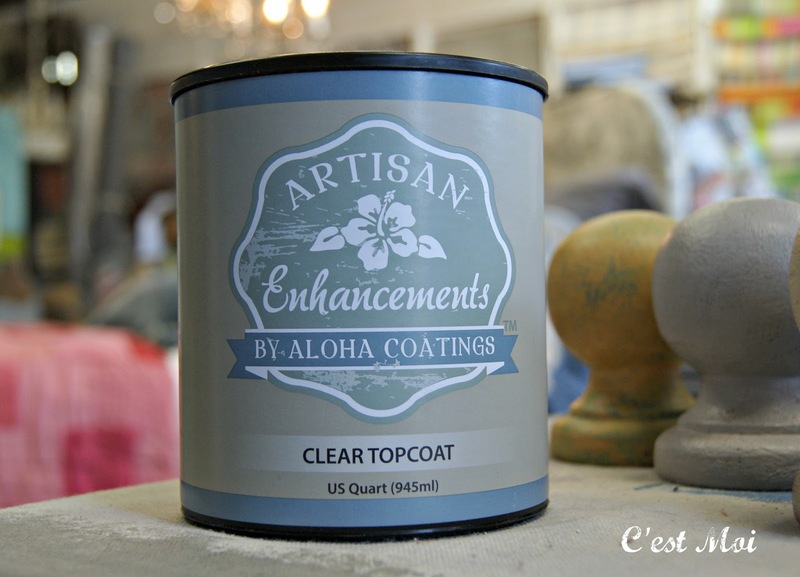 The topcoat can also be used directly over CHALK PAINT by Annie Sloan®, so you can use painted pieces outside. No more worrying about the weather destroying all of your hard work! 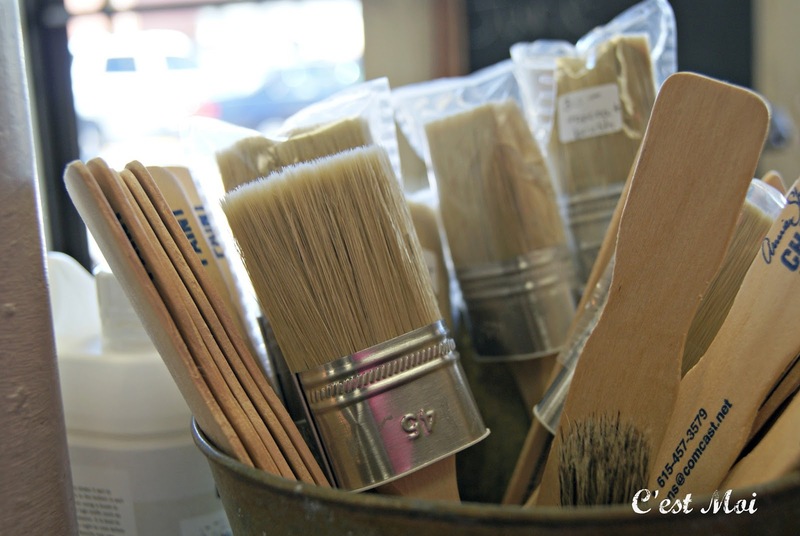 In addition to Aloha Coatings' products, you'll want to pick up a topcoat brush. They are specifically designed to prevent brush strokes from showing, so you can finally achieve a perfectly smooth finish! You can't use a brush without properly cleaning it, and this is hands-down our favorite cleaning product. 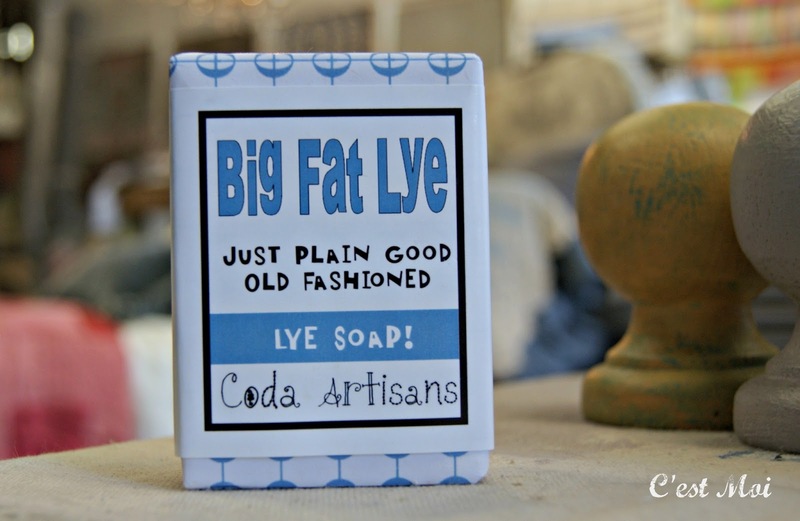 This lye soap by Coda Artisans removes all traces of paint, wax, and other residual products from brushes. 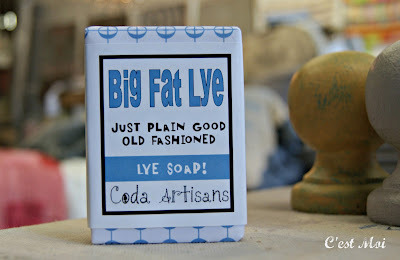 It is so amazing, you won't want to start painting without a Big Fat Lye waiting in your arsenal. As much as we love CHALK PAINT® by Annie Sloan, there's a new girl in town that has grabbed our attention. 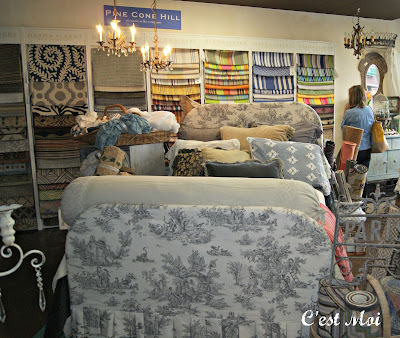 The Annie Sloan Fabric Collection® can be summed up in one word: stunning. Anyone who has been in the store has seen the Toile de Jouy line in Charcoal Pastorale. The beautiful pictures of country scenes are drawn in a charcoal graphite color on off-white pure cotton. 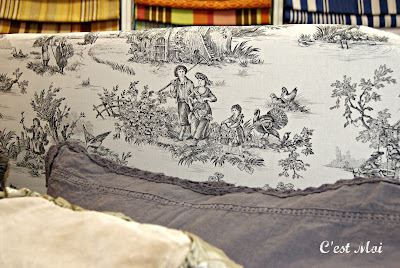 As it is double width toile, it can be used on walls, curtains, or light upholstery. We have displayed it in the shop over our cast iron bed. If you've been in the shop lately, you will surely have noticed this lovely addition to our decor! If you need even more inspiration, you'll love our newest addition to our book collection, Romantic French Homes. 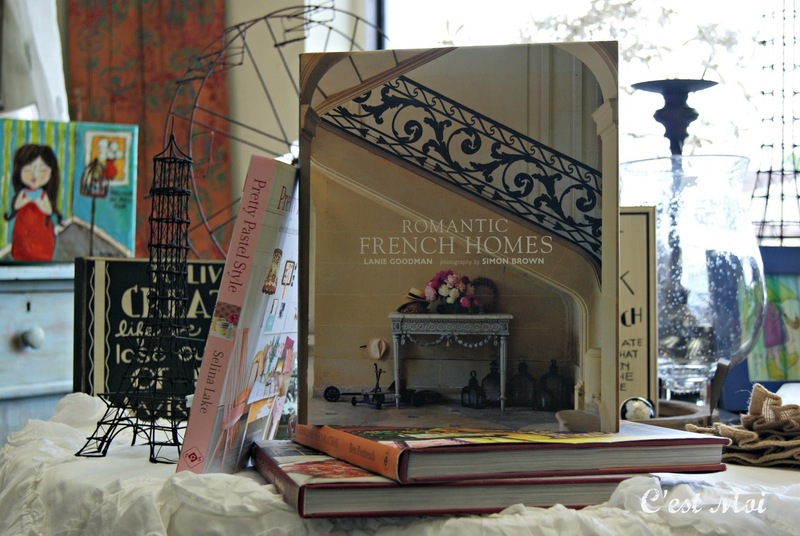 Lanie Goodman profiles 14 homes that all exemplify romantic French style, from classic country chateaus to chic, modern Parisian flats. We think Rann Woodward's latest artwork would add a touch of romance to any room it calls home! 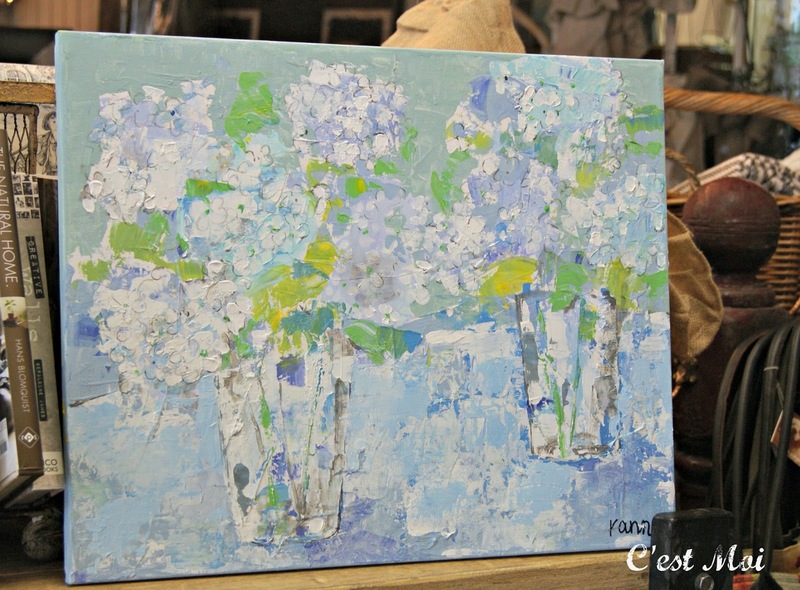 These serene hydrangeas make us want to take a moment, relax, and step outside to see the gorgeous flowers blooming all around us this spring. 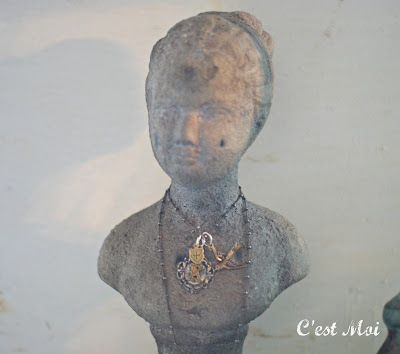 Finally, we have a little project of our own to share with you. 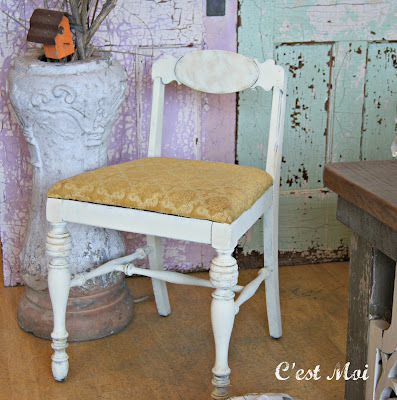 This cute accent chair came to us in pretty rough shape. 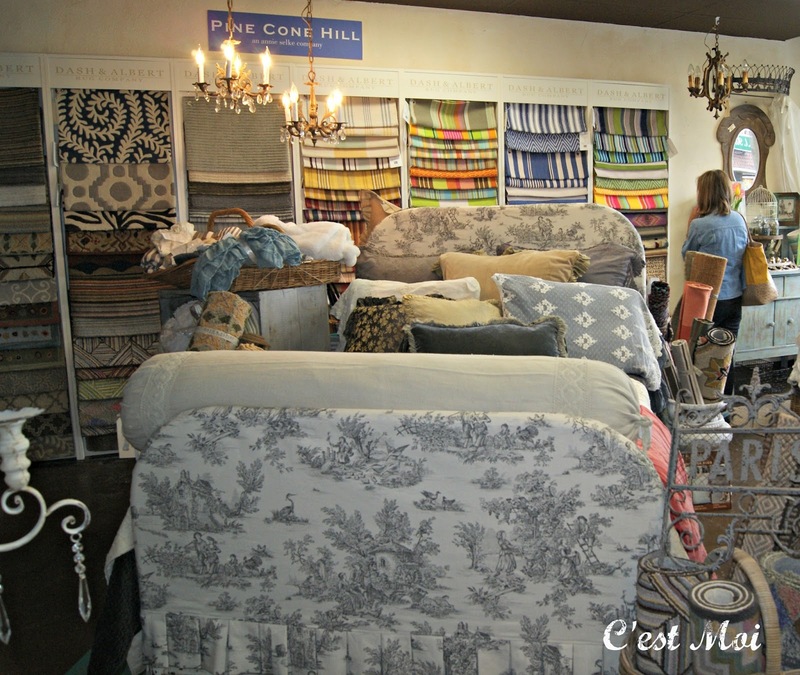 The upholstery was in great shape, though, and we loved the color and character it brought to the rest of the piece. Instead of replacing or painting it, we kept the upholstery and played off the gold color by layering CHALK PAINT® by Annie Sloan in Arles and Cream. We love how it turned out and are happy we're finally able to show her off! 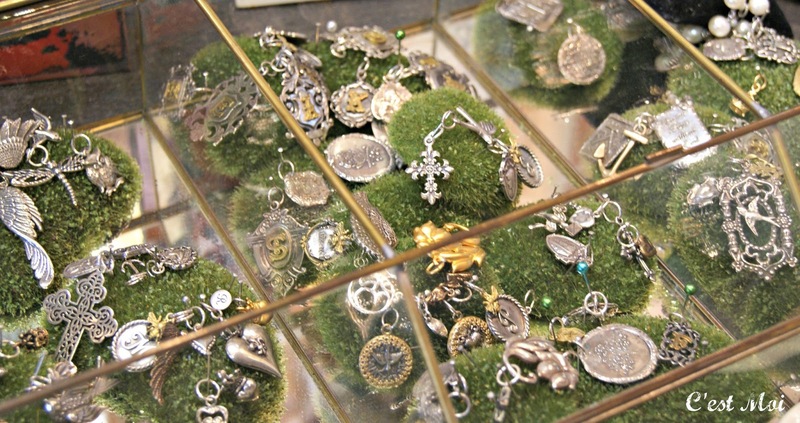 We are so very excited to announce our Pure Sanctuary Trunk Show! It starts this Thursday, May 9th, and runs through Saturday, May 11th. We will be receiving a SURPRISE box full of cash and carry items! Of course, we can still custom order as well. If you're not familiar with Pure Sanctuary, now is the time to become acquainted. 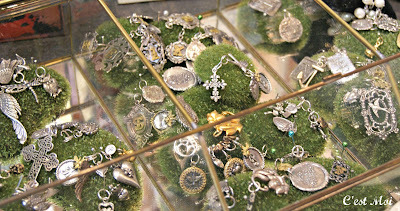 Their charms and pendants, which are all hand cast in their Los Angelas studio, create an especially fun, unique look when layered together. but it also hides a lovely little surprise! 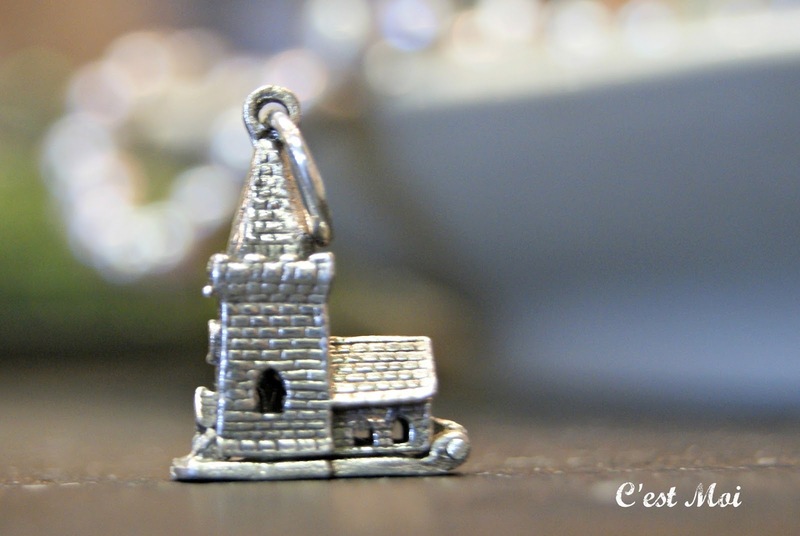 This piece would be a perfect gift for a new or soon-to-be bride. It would also make a great anniversary present! This pendant is stunning as well! We love the script and detailed edge, but our favorite part has to be the little bee on top. 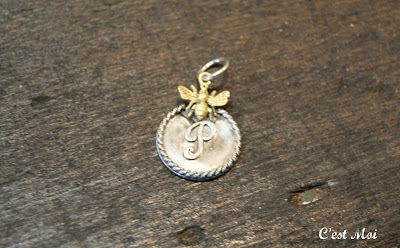 The thought that goes into each of Pure Sanctuary's pieces make them truly special. 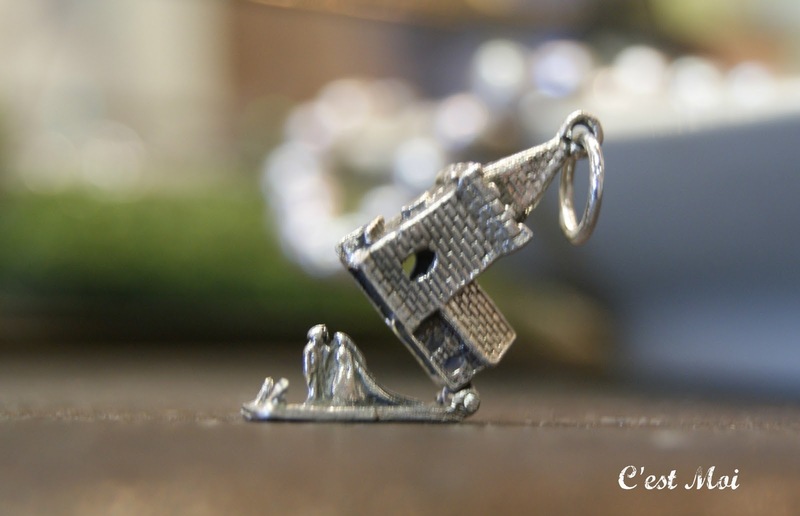 Don't forget to stop by the shop this Thursday through Saturday to find a Pure Sanctuary piece that will "inspire memories" to last you a lifetime!